Many people in health care are involved in fall prevention. Consider how these members of the healthcare team interact to maintain a safe environment. The nurse assesses risk factors for falls, documents the care plan and performs the procedures needed to promote safety. The facility engineers repair and replace defective or unstable handrails, furniture, floor coverings, medical equipment, and lights. The dietician monitors the patient’s weight to help avoid unintentional weight loss. The information technology support personnel refine the documentation system to include fall risk assessment and protocols and develop alerts for medications that increase the risk of falls. The physical therapist assesses the patient’s mobility and balance and determines the need to assistive devices and strengthening exercises. The physician, nurse practitioner or physician assistant write orders for medications, activity levels and need for physical and occupational therapy. A facility may define specific fall prevention techniques. These are documented in policies and procedures obtainable through discovery. Universal fall precautions are excellent practices to apply to all patients, even if they are not at risk for falls. Attorneys taking depositions of or interviewing defendants will find that these methods of fall prevention are well known. Have sturdy handrails in patient bathrooms, room and hallway. Keep wheelchair wheels locked when the chair is stationary. Maintain the call light within reach and have the patient demonstrate how to use it. Place the bed in a low position when the patient is in bed. Raise the bed to a comfortable height when the patient is being moved from bed to stretcher. Keep the patient’s personal possessions within safe reach of the patient. Keep nonslip, comfortable well-fitting footwear on the patient. Keep floor surfaces clean and dry. Promptly clean up spills. 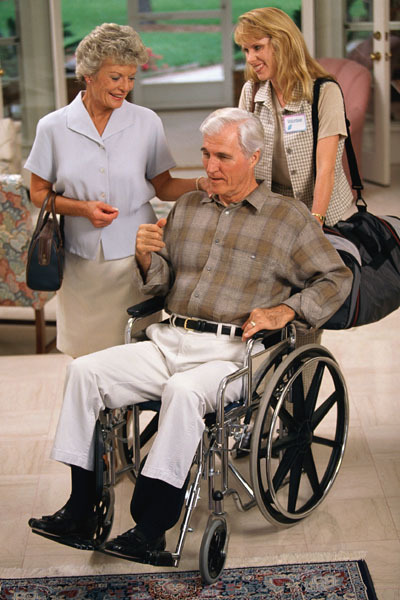 Hourly rounds are used in many facilities to reduce the risk of falls. Nurses and nursing assistants visit with the patients to assess their needs. The registered nurses are the ones who document on an hourly basis. Nursing assistants may help with whatever the patient’s needs are but it is the registered nurse who records the rounds. Possessions – phones, water, glasses, call lights and bedpans within reach. Falls are reduced when the nursing staff assess patients every hour and identify their needs. The nurse and physician work together to evaluate the impact of medications on the patient’s neurological functioning and avoid medications that may contribute to delirium. The post partum nurses instruct the recently delivered mother to call for help the first time she goes to the bathroom. The nurses are mindful of the exhaustion and fluid shifts that accompany delivery. The staff keep wheelchairs out of the direct path of traffic to avoid trips over equipment. Patient care technicians take patients to the bathroom and may be used as a sitter if a patient is unable to follow instructions to stay in bed. The staff do not leave confused elderly patients alone on the x-ray table. The staff walk patients to the bathroom and do not leave them unattended if they have mobility problems. The interdisciplinary team works on mobilizing the patient: social services, nursing, occupational therapy, physical therapy, physician, dietary and speech therapy. The staff routinely assess the patient’s orthostatic blood pressure in a sitting, standing and lying position to determine if it drops when the patient stands up. A staff members assist the fragile elder off of the examining room instead of walking out the door. The facility staff balances the resident’s needs for independence with the need to prevent the resident from wandering away from the facility. The facility staff locks laundry chutes to prevent a confused elder from climbing into the chute. Fall prevention must be directed to the individualized needs of the patient, by staff who anticipate hazards. Contact us for an expert for your next falls case.